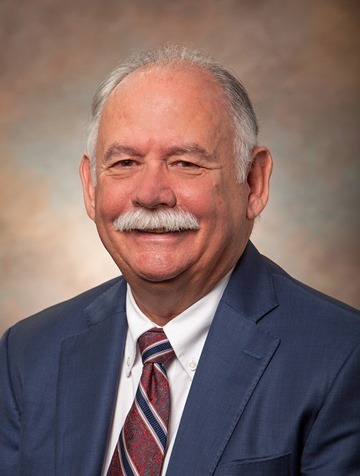 Texas A&M University-Kingsville President Dr. Steven H. Tallant has announced that he will retire at the end of December 2018. Tallant became the university’s 19th president in 2008 and has led the university through years of unprecedented growth and development. The third-longest serving president in university history, Tallant came to Texas A&M-Kingsville in October 2008 from the University of Wisconsin-Eau Claire, where he previously served as provost and vice chancellor for academic affairs. In his inaugural speech, Tallant harkened to the pioneer spirit that laid the foundation for the university and outlined several areas he planned to target, including enrollment, retention, and academic offerings. Since then, the university has experienced a surge in enrollment, growing by nearly 30 percent. In 2015, the university was named the fastest-growing four-year doctoral institution in the nation. Student retention rates have also increased by more than 10 percent during Tallant’s presidency. In addition, several other programs received accreditation under Tallant’s leadership. Four engineering programs received ABET and ATMAE accreditation and in 2017, the College of Business Administration earned AACSB accreditation. Tallant also served as a leading force behind the formation of the groundbreaking Premont Alliance—a partnership through which the university provided academic support, training and mentorship to students, teachers and district board members. At the time, Premont ISD faced possible closure by the Texas Education Agency after years of struggling. Five years after the formation of the Alliance, the district has made significant progress in all areas and has met state accountability standards two consecutive years. The Alliance continues to serve as a model for K-12 and higher education partnerships. In April, Tallant announced the launch of a comprehensive campaign aimed at raising $100 million. The campaign will be an ongoing effort. The Texas A&M University System will soon form a search committee for Tallant’s successor that is expected to complete its work prior to his departure.